1930s. Promotional photo of George Harvey (aka Alfred Robinson) opening his new dealership in Great Portland street, London (Monday June 8th 1931). 1930s. 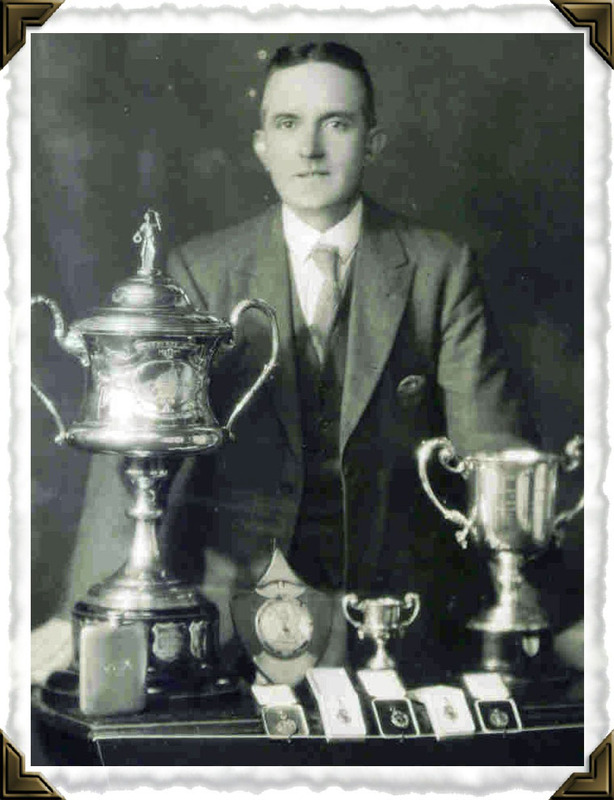 George Harvey (aka Alfred Robinson) with a selection of trophies won between 1926 and 1932. 1930s. 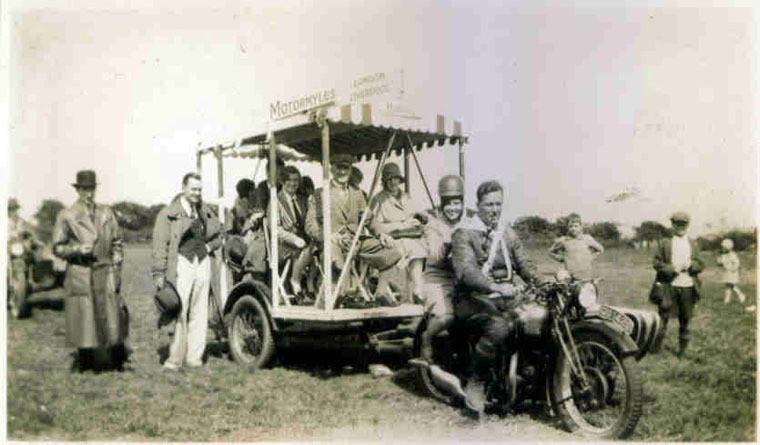 George Harvey sitting in the front of the advertising trailer next to his wife, with his daughter who acted as his secretary, (sitting as pillion on the bike behind Graham Walker). Apparently this trailer went all over the continent. 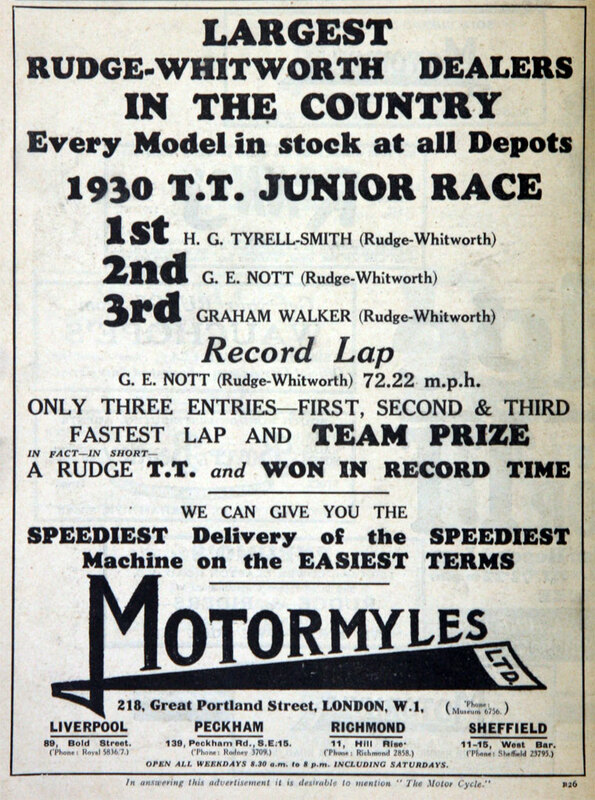 Business founded by George Harvey - he supplied Rudge motorbikes to the team of Graham Walker (father of Murray Walker), Tyrell Smith and Ernie Nott for the Isle of Man TT races. 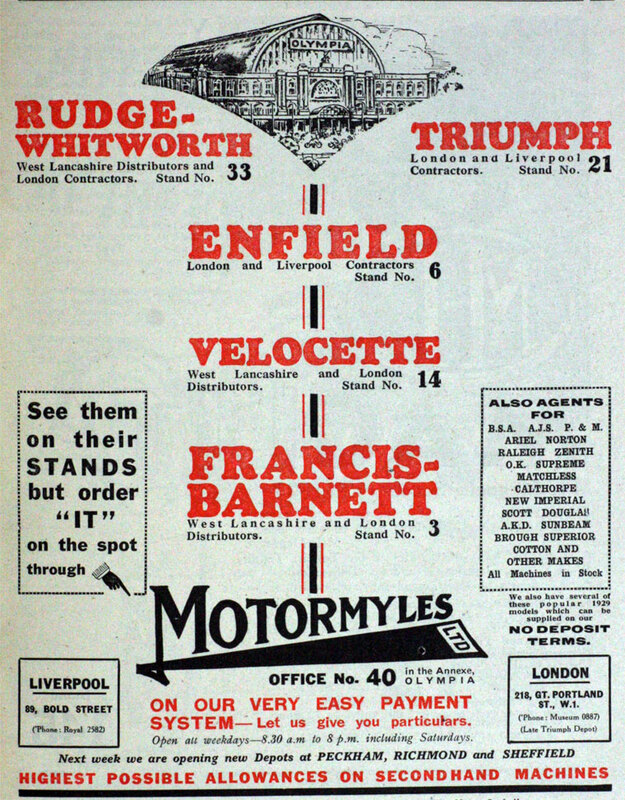 c. 1930s George Harvey had already been running a bike shop in Liverpool, the company Motormyles having been registered in October 1894. 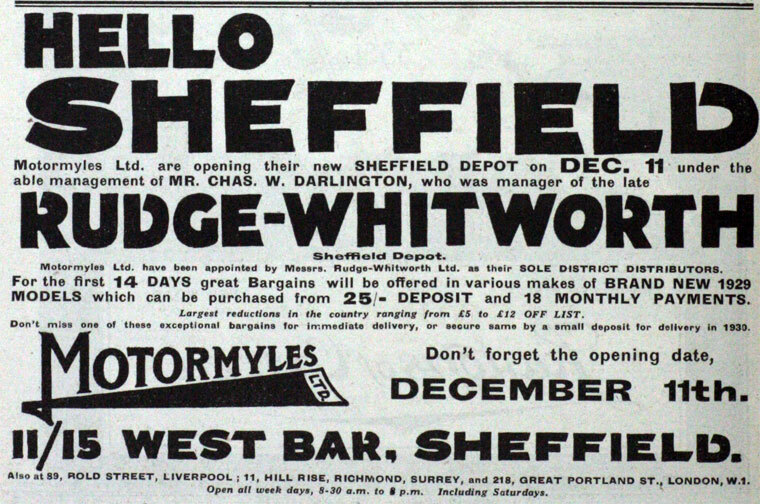 1935 Company went into liquidation. 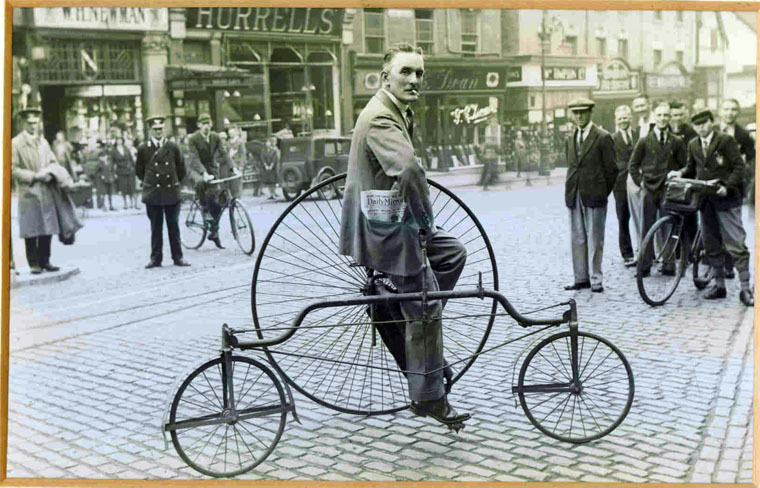 During the war George Harvey served in the army as a motorcycle messenger. ↑ Information provided by granddaughter of G. Harvey - R. Greenway.